Folds down to 4" x 2.5"
You can create dine-in, take-out and pocket menus for a more focused targeting. 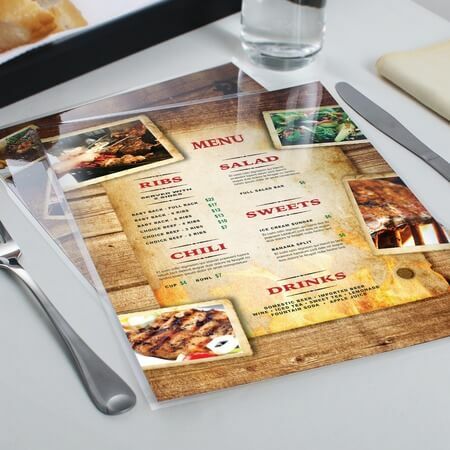 You can have your dine-in menus big and colorful enough to showcase your bestsellers and entice your customers. 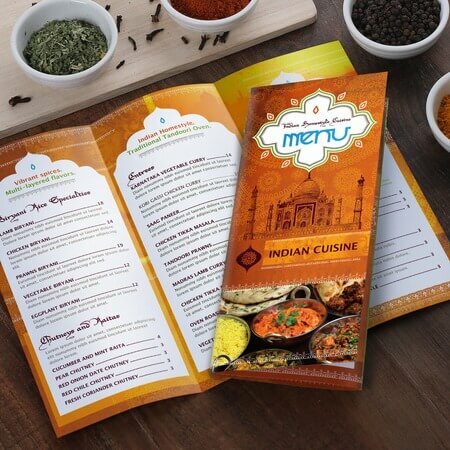 Take-out menus are also convenient for your regular and new customers especially if you are offering delivery services. 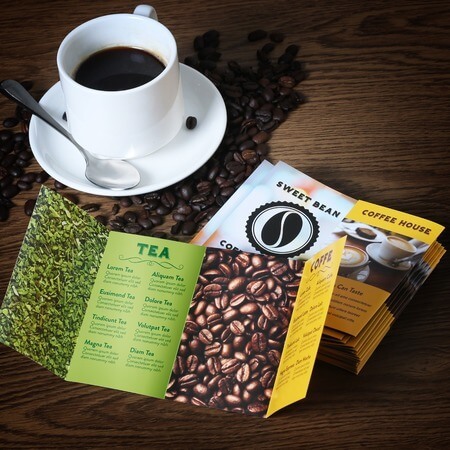 Pocket menus on the other hand give your customers an easy way to satisfy their cravings whenever they want to place an order since they can always bring those with them anywhere. Table tents are great for highlighting special menu items or your latest additions to the menu. They’re always present and are a great way to upsell. Placemats serve two purposes. They keep your tables clean so there’s less mess to clean up when customers are done. They can also be used as menus. 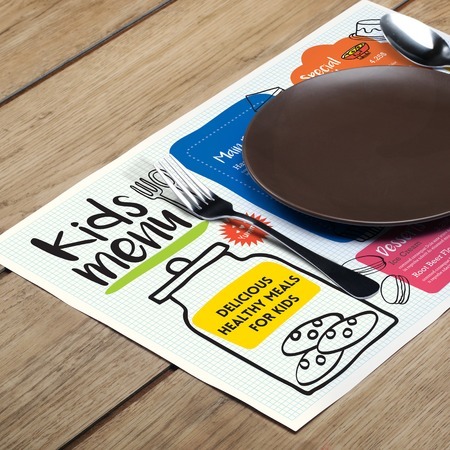 Some even put games on their placemats to keep kids entertained as they wait for their food to arrive.